Mechanism of Action: Clomipramine is classified as a tricyclic antidepressant (TCA) and exerts its effects like other TCAs by inhibiting reuptake of serotonin in synaptic clefts of neurons. Clomipramine also has an active metabolite, desmethylclomipramine, which inhibits norepinephrine reuptake. Adverse Effects: Common adverse effects include weight gain, sweating, constipation, diarrhea, indigestion, nausea, dry mouth, dizziness, headache, and anorgasmia. Rare but serious side effects include hematologic disorders and cardiac arrest. Administration/Dosing: Clomipramine is administered orally and is usually titrated from 25 mg daily up to 100 mg daily in the first two weeks. Maximum daily dose is up to 250 mg daily. Breastfeeding – Clomipramine is excreted in breast milk. If possible, it should be stopped if mother is breastfeeding. Infant risk is unknown. Geriatric – Clomipramine is on the Beers Criteria Medication List which advises against its use in older patients due to decreased clearance in older adults which increases risk of toxicity especially anticholinergic effects. Pediatric - Initial oral dosage is 25 mg daily. This can be increased to 3 mg/kg or 100 mg/day (whichever is less) during the first 2 weeks. While titrating to an individualized maintenance dose, divide the total daily dose and give with meals to reduce gastrointestinal side effects. After titration, the total daily dose may be given once daily at bedtime to minimize daytime sedation. The dosage may increase gradually over the next several weeks up to 200 mg/day or 3 mg/kg/day (whichever is less). Clomipramine. 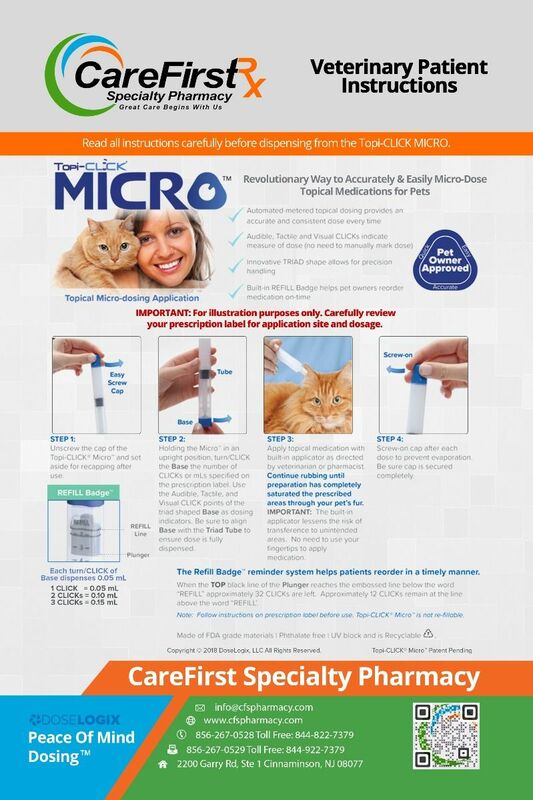 Micromedex® (electronic version). Truven Health Analytics, Greenwood Village, Colorado, USA. 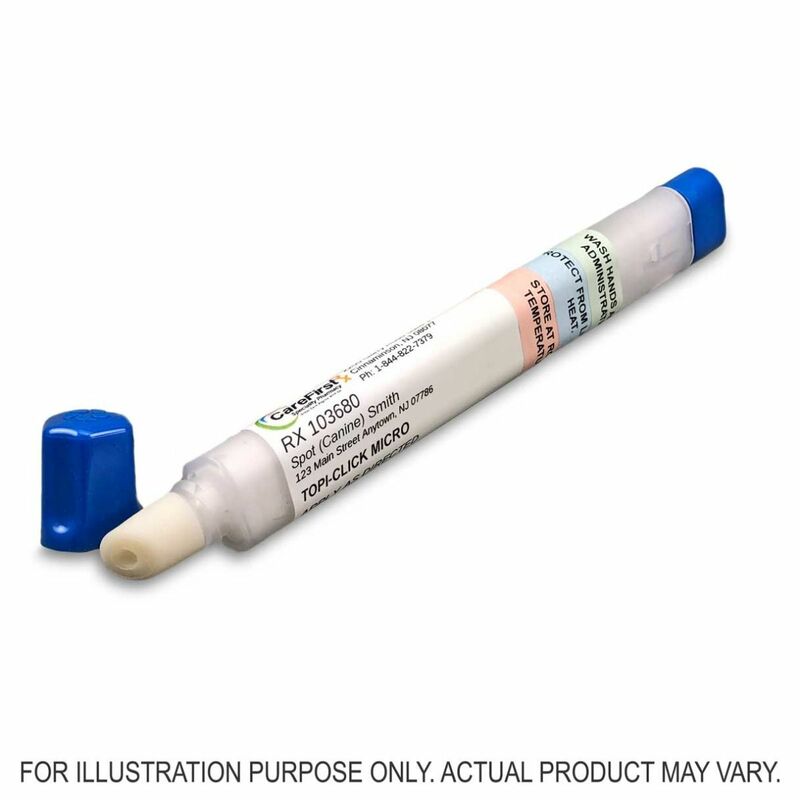 Available at: http://www.micromedexsolutions.com (cited: 07/25/2018). Clomipramine. Lexi-Drugs. Lexicomp. Wolters Kluwer Health, Inc. Riverwoods, IL. Available at: http://online.lexi.com. Accessed July 26, 2018. This is a compounded medication specifically made for you based on a prescription from your licensed veterinarian.